Unfortunately, many otherwise-healthy dogs have to contend with food sensitivities leading mild to moderate digestive problems. Some experience nausea or vomiting shortly after eating, while others may suffer from frequent diarrhea or gas. 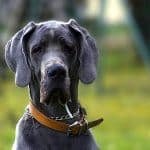 These types of problems are obviously no fun for afflicted canines, but they also cause difficulties for owners too, as they may be forced to walk their dog frequently and at odd hours. But fortunately, you can purchase a sensitive stomach dog food, which is designed to eliminate these types of issues. Below, we’ll explain some of the symptoms of sensitive stomachs in dogs and describe the characteristics of foods that can often help calm your pet’s digestive tract. But we’ll begin by jumping right in and recommending the best dog food for sensitive stomach and diarrhea with 5 top limited ingredient diet foods. There are a number of good foods available that are easy for dogs with sensitive stomachs to digest, and the five listed below are among the very best dog foods for sensitive stomach and diarrhea. Note that while some are specifically marketed as being appropriate for pets with sensitive stomachs, others have most of the hallmarks of easy-to-digest recipes, without being specifically labeled as such. About: Purina Pro Plan Sensitive Skin and Stomach Formula is designed to provide dogs with a great-tasting and nutritious diet, which is specifically formulated to be easy to digest. Ingredients: Salmon, Barley, Ground Rice, Canola Meal, Oat Meal, Fish Meal (Source of Glucosamine), Animal Fat Preserved with Mixed-Tocopherols, Brewers Dried Yeast, Salmon Meal (Source of Glucosamine), Natural Flavor, Sunflower Oil, Chicory Root Inulin, Salt, Fish Oil, Vitamins [Vitamin E Supplement, Niacin (Vitamin B-3), Vitamin A Supplement, Calcium Pantothenate (Vitamin B-5), Pyridoxine Hydrochloride (Vitamin B-6), Folic Acid (Vitamin B-9), Vitamin B-12 Supplement, Thiamine Mononitrate (Vitamin B-1), Vitamin D-3 Supplement, Riboflavin Supplement (Vitamin B-2), Menadione Sodium Bisulfite Complex (Vitamin K), Biotin (Vitamin B-7)], Potassium Chloride, Minerals [Zinc Sulfate, Ferrous Sulfate, Manganese Sulfate, Copper Sulfate, Calcium Iodate, Sodium Selenite], L-Ascorbyl-2-Polyphosphate (Vitamin C), Choline Chloride. K-4449. User Reviews: Most owners who tried Purina’s Sensitive Skin and Stomach Formula were very pleased with the results. Many reported that it helped firm up their dog’s stools and was easy for their pet to digest. Several owners even found that this recipe provided results similar to more expensive foods, but at a very reasonable price. A few owners complained that the food smells exceptionally fishy (and gives dogs fish-breath), but that’s only a minor inconvenience. Bottom Line: Purina Pro Plan Sensitive Skin and Stomach Formula is a great choice for budget-conscious owners who need a dog food for sensitive stomachs. It doesn’t have probiotics or many of the other bells and whistles owners may want, and it has a few low-quality ingredients, but it is a pretty good option at this price level. About: IAMS Sensitive Naturals Ocean Fish and Rice Recipe is made from plenty of high-quality, all-natural ingredients and is one of the best dog foods for diarrhea and sensitive stomachs around. Ingredients: Ocean Fish, Brewers Rice, Ground Whole Grain Sorghum, Fish Meal (source of fish oil), Ground Whole Grain Barley, Animal Fat (preserved with mixed Tocopherols, a source of Vitamin E), Dried Beet Pulp, Dried Egg Product, Fish Digest, Brewers Dried Yeast, Potassium Chloride, Salt, Calcium Carbonate, Fructooligosaccharides, Choline Chloride, Carrots, Tomatoes, Spinach, Green Peas, DL-Methionine, Minerals (Ferrous Sulfate, Zinc Oxide, Sodium Selenite, Manganese Sulfate, Copper Sulfate, Manganous Oxide, Potassium Iodide), Vitamin E Supplement, Dried Apple Pomace, Vitamins (Ascorbic Acid, Vitamin A Acetate, Calcium Pantothenate, Biotin, Thiamine Mononitrate (source of Vitamin B1), Vitamin B12 Supplement, Niacin, Riboflavin Supplement (source of Vitamin B2), Inositol, Pyridoxine Hydrochloride (source of Vitamin B6), Vitamin D3 Supplement, Folic Acid), Dried Blueberry Pomace, Beta-Carotene, Mixed Tocopherols, Citric Acid, Rosemary Extract. User Reviews: The owner reviews for IAMS Sensitive Naturals were overwhelmingly positive – more than one owners characterized the food as “lifesaving.” Most reported that this recipe was easy for their dog to digest and that it improved their elimination habits. Several owners explained that it firmed up their dog’s stools and reduced the amount of gas they experienced. 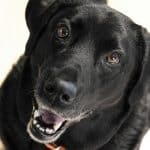 Bottom Line: IAMS Sensitive Naturals Ocean Fish and Rice Recipe is a high-quality, yet affordable food, that appears easily digestible for most dogs. It doesn’t include any probiotics, so you may want to purchase a stand-alone supplement to go with this food, but it does have several sources of fiber, which help to promote intestinal health. About: Nutro WHOLESOME ESSENTIALS Lamb Recipe isn’t specifically marketed as a sensitive stomach dog food, but it is a nutritious recipe that is packed with foods that are easy for most dogs to digest. Ingredients: Deboned Lamb, Chicken Meal, Brewers Rice, Rice Bran, Whole Brown Rice, Whole Grain Oatmeal, Split Peas, Lamb Meal, Chickpeas, Natural Flavor, Chicken Fat (preserved with Mixed Tocopherols), Sunflower Oil (preserved with Mixed Tocopherols), Soybean Oil (preserved with Mixed Tocopherols), Potassium Chloride, Salt, Choline Chloride, DL-Methionine, Mixed Tocopherols and Citric Acid (preservatives), Zinc Sulfate, Niacin Supplement, Biotin, Vitamin E Supplement, Iron Amino Acid Chelate, D-Calcium Pantothenate, Selenium Yeast, Riboflavin Supplement (Vitamin B2), Copper Amino Acid Chelate, Vitamin B12 Supplement, Pyridoxine Hydrochloride (Vitamin B6), Manganese Amino Acid Chelate, Vitamin A Supplement, Thiamine Mononitrate (Vitamin B1), Vitamin D3 Supplement, Folic Acid, Rosemary Extract. User Reviews: Despite not being specifically intended for dogs with sensitive stomachs and diarrhea, many owners found that this food improved their dog’s elimination habits, firmed up stools and reduced gas. Several even mentioned that this food helped to increase their dog’s energy level. A few owners complained about the price of the food, but others considered it to provide excellent value, given the quality of the ingredients. Bottom Line: Nutro WHOLESOME ESSENTIALS Lamb Recipe is a great choice for dogs who have food digestive difficulties, and clearly is one of the best dog food for sensitive stomach and diarrhea options available. It is made with a variety of high-quality, easy-to-digest ingredients, such as lamb, brown rice and oatmeal, and it doesn’t include any GMO ingredients, which some owners like to avoid. The lack of probiotics is disappointing, but it does feature a number of different fiber sources, which will function as prebiotics (foods that sustain beneficial bacterial colonies). About: Wellness Simple Natural Limited Ingredient Dog Food is a grain free food made with only a relative handful of ingredients, which makes it a great choice for dogs who battle food allergies, have sensitive stomachs, diarrhea or other food sensitivities. Ingredients: Salmon, Salmon Meal, Potatoes, Peas, Dried Ground Potatoes, Tomato Pomace, Ground Flaxseed, Canola Oil (preserved with Mixed Tocopherols), Dicalcium Phosphate, Natural Fish Flavor, Chicory Root Extract, Vitamin E Supplement, Choline Chloride, Taurine, Mixed Tocopherols added to preserve freshness, Zinc Proteinate, Zinc Sulfate, Calcium Carbonate, Niacin, Ferrous Sulfate, Iron Proteinate, Beta-Carotene, Vitamin A Supplement, Copper Sulfate, Thiamine Mononitrate, Copper Proteinate, Manganese Proteinate, Manganese Sulfate, d-Calcium Pantothenate, Sodium Selenite, Pyridoxine Hydrochloride, Riboflavin, Vitamin D3 Supplement, Biotin, Calcium Iodate, Vitamin B12 Supplement, Folic Acid, Ascorbic Acid (Vitamin C), Dried Lactobacillus plantarum Fermentation Product, Dried Enterococcus faecium Fermentation Product, Dried Lactobacillus casei Fermentation Product, Dried Lactobacillus acidophilus Fermentation Product, Rosemary Extract, Green Tea Extract, Spearmint Extract. User Reviews: Most Wellness Dog Food recipes receive high marks from owners, and their Simple Natural line is no exception. Most owners reported that this food was easy for their dog to digest, and dogs appear to love the taste. A few owners scoffed at the food’s price tag, but that’s to be expected when purchasing a truly premium product. Bottom Line: Wellness Simple Natural Limited Ingredient Dog Food is easily one of the top grain free foods for dogs with sensitive stomachs. It is packed with fiber sources to help regulate intestinal function, omega-3 fatty acids to reduce inflammation and probiotics, which help reduce gas and encourage regular, firm stools. About: Like a few other foods in our review, BLUE Buffalo’s Basics Limited Ingredient Diet Grain Free Formula helps to regulate your dog’s digestive tract even though it isn’t specifically marketed toward dogs with sensitive stomachs. Ingredients: Turkey, Turkey Broth, Potatoes, Flaxseed (source of Omega 3 and 6 Fatty Acids), Pea Protein, Fish Oil (source of Omega 3 Fatty Acids), Pumpkin, Guar Gum, Potassium Chloride, Salt, Carrageenan, Cassia Gum, Cranberries, Blueberries, Choline Chloride, Mixed Tocopherols, Glucosamine Hydrochloride, Chondroitin Sulfate, Vitamin E Supplement, L-Ascorbyl-2-Polyphosphate (source of Vitamin C), Zinc Amino Acid Chelate, Iron Amino Acid Chelate, Copper Amino Acid Chelate, Manganese Amino Acid Chelate, Sodium Selenite, Thiamine Mononitrate (Vitamin B1), Cobalt Amino Acid Chelate, Niacin Supplement (Vitamin B3), Calcium Pantothenate (Vitamin B5), Vitamin A Supplement, Riboflavin Supplement (Vitamin B2), Biotin (Vitamin B7), Vitamin B12 Supplement, Potassium Iodide, Pyridoxine Hydrochloride (Vitamin B6), Vitamin D3 Supplement, Folic Acid (Vitamin B9). User Reviews: Most dog owners found BLUE Buffalo Basics Limited Ingredient Natural Dry Dog Food Formula to be a high-quality, easily digested food that helped eliminate their dog’s stomach issues. A few owners complained about the food’s price tag, but others found it to be so helpful in settling their dog’s digestive system that they didn’t mind paying a higher price. Bottom Line: Although we were a little disappointed to note the lack of probiotics in this formula, it makes up for this in part through the inclusion of many other high-value ingredients, such as blueberries and cranberries. Also, this grain free food contains multiple fiber sources and features pumpkin, which is widely celebrated for its ability to calm the stomachs of dogs and firm up their stools. The term “sensitive stomach” is a bit nebulous and does not refer to a specific medical condition. Instead, it is a catch-all term applied to dogs who suffer from a variety of ailments, which generally occur within about 1 to 12 hours following a meal. Make sure to consult your vet if you suspect that your dog has a sensitive stomach. He or she will not only be able to help you treat the issue but distinguish it from more serious conditions too. Once you’ve determined that your dog isn’t suffering from anything more serious, you can consider a limited ingredient diet and begin looking for a hypoallergenic, sensitive stomach dog food. There are a number of ways that manufacturers tailor recipes to make them suitable for dogs with sensitive stomachs. Some recipes try to improve the digestibility of their food in only one or two ways, while others incorporate as many different stomach-soothing strategies as possible in their formulas to help attain the best results. Some ingredients are simply easier for dogs to digest than others. For example, corn and wheat are difficult for a lot of dogs to digest, as are cruciferous vegetables, such as broccoli or cabbage. But digestive difficulties don’t only arise from vegetables; proteins can also cause problems, as some dogs even have difficulty digesting chicken. However, a number of ingredients are at the opposite side of the digestibility spectrum and are typically very easy on a dog’s system and rarely produce problems. This includes carbohydrates like potatoes, sweet potatoes, oatmeal and brown rice, and proteins like lamb and salmon. In contrast to the easily digested ingredients detailed above, dogs can also benefit from indigestible ingredients – better known as fiber. Fiber helps to provide bulk for your dog’s stool and helps promote the smooth and orderly passage of food through the intestinal tract. And the neat thing about fiber is that it can either speed the progress of food through the digestive tract in dogs prone to constipation or slow down food’s passage through the digestive tract in dogs who suffer from diarrhea. Whole grains and pumpkin are typically rich in fiber content, as are many fruits, berries and leafy green vegetables. Some manufacturers also incorporate food byproducts, such as beet pulp, into their recipes to increase the fiber content. 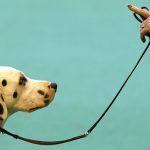 But, it is important to use restraint when incorporating fiber into your dog’s diet. Excess fiber content will often trigger excessive gas and lead to a drastic increase in the volume of stool produced. Most dogs adapt to higher fiber levels over time, but it is wise to use extra caution when selecting a food for dogs with sensitive stomachs. In fact, it is wise to examine the fiber content of your dog’s current food. If you’re already providing your dog with a ton of fiber, you may simply need to select a food that contains less. Fat is an important dietary component for dogs that also makes food delicious. But, excessive amounts of fat can stress the stomachs of some dogs. Most mainstream dog food recipes have acceptable fat levels, but many weight-gain and bulking formulas contain too much fat for some dogs to handle. You’ll usually want to look for a food that contains fat levels in the 10% to 15% range. 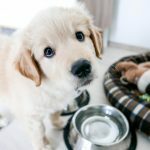 Note that wet and semi-moist foods typically contain more fat than kibbles do, so it is usually wise to switch to a dry food when trying to soothe your pet’s stomach. Some dogs can experience digestive upset in response to artificial additives, including dyes, flavors and preservatives. Dogs do not care what color their food is, and recipes containing high-quality ingredients don’t need flavor enhancing compounds (aside from natural fats, which make just about anything taste better). And, most modern foods use naturally occurring mixed tocopherols (essentially Vitamin E) to preserve the product. Additionally, some ingredients that are included to provide additional nutritional value can give dogs with sensitive stomachs problems. For example, many manufacturers like to include antioxidant-rich fruits and vegetables, including everything from kale to cranberries. And while most dogs digest these ingredients easily enough, they can cause problems for those with sensitive stomachs. To avoid most of these problems, it is often a good idea to select a recipe that features limited ingredients for dogs with sensitive stomachs. These types of recipes, which are often called “Limited Ingredient Diets,” are also helpful for dogs suffering from food allergies. Limited ingredient diets are typically among the best options for a dog with a sensitive stomach. Probiotics are beneficial bacteria that naturally occur in the intestinal tracts of dogs (as well as humans and many other animals). Among other things, they help to promote proper digestion, outcompete harmful bacteria and fight off pathogens. But while they are usually already present in the intestines of healthy dogs, stress, illness and intestinal disturbances can wipe them out. But you can fix this problem by providing your dog with a food that is fortified with probiotics. Many of the best dog foods for sensitive stomach and diarrhea provide four or more bacterial strains, which likely provide more value than foods containing only a single probiotic strain. You can also provide your dog with probiotic supplements if an otherwise-good food doesn’t contain any. It’s always important to alter your dog’s diet slowly and carefully, but this is especially important when caring for dogs with delicate digestive tracts. Making abrupt changes to your dog’s diet can exacerbate digestive problems, and this additional stress can be very trying for dogs with sensitive stomachs. You needn’t follow this protocol exactly and different authorities recommend switching diets at slightly different rates. But, you’ll want to stick to the basic concept as much as is possible. 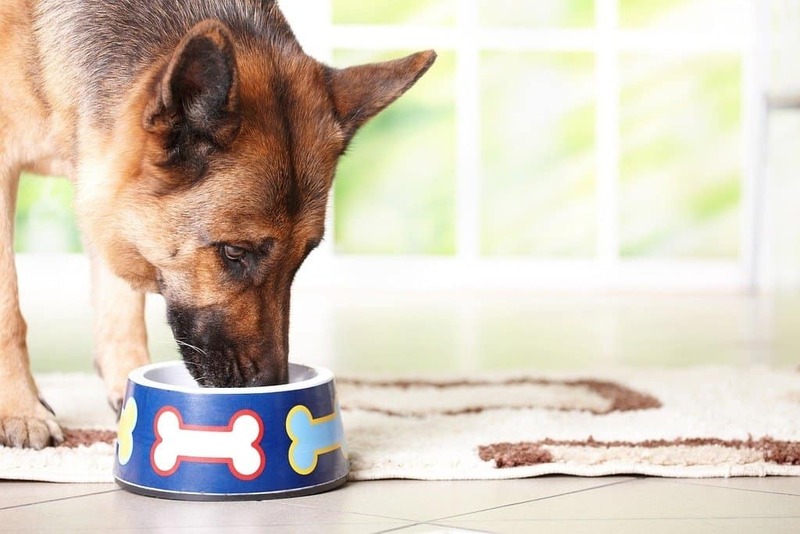 Be sure to monitor your dog’s digestive performance while making the switch and slow down the transition if the new food appears to be upsetting his system. Stop providing the new diet immediately and contact your vet if your dog exhibits serious symptoms, such as constant diarrhea or bloody stools. 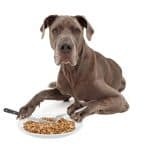 Most good dog foods for sensitive stomachs will eventually cause your dog to produce firm, regular stools, but it can take a bit of time for your pet’s body to adjust to the new recipe. Does your dog have a troubled tummy? Have you browsed through limited ingredient dog foods? Have you found what you believe is the best food for your dog’s sensitive stomach and diarrhea issues? We’d love to hear about your experiences in the comments below.